After finishing the Avast sweater Friday night, I wasn't sure what my next project would be. I ended up working on lots of different things. I spent an afternoon finally figuring out how to use the knitting machine a friend gave me almost two years ago! I practiced plain knitting and it wasn't as hard as I thought it would be. In fact, it was really fun. Click here to see my swatch. 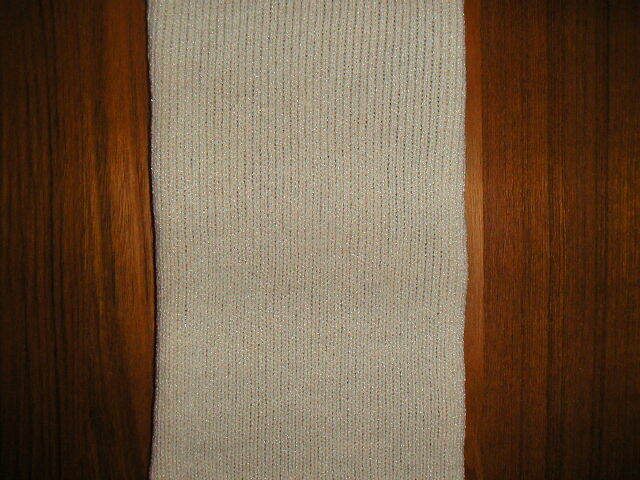 I plan to try using some of the punch cards next and practice two-color knitting. Yesterday I ended up going to LYS Close Knit and its neighbor Bolt to get knitting and sewing supplies. I got some yarn to knit up a stuffed toy for a friend's baby shower, as well as a skein of bulky red alpaca for the Not Too-Too Beret from Knit and Tonic. I also bought the latest issue of Interweave Knits, so much time will be spent on deciding what sweater I want to knit first. The fabric I purchased is for a spring dress that I want to drape. 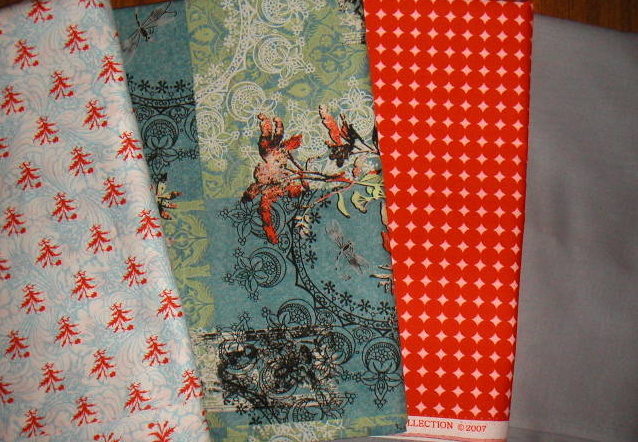 The two fabrics on the left are by Jason Yenter for In the Beginning Fabrics. One is from the Bohemian Brights collection and the other is from the Floragraphix I collection. The Mod Dot fabric is from Alexander Henry. I'm leaning towards the Bohemian Bright as the main body of the dress with one of the other patterned fabrics and the gray as contrasting pieces. 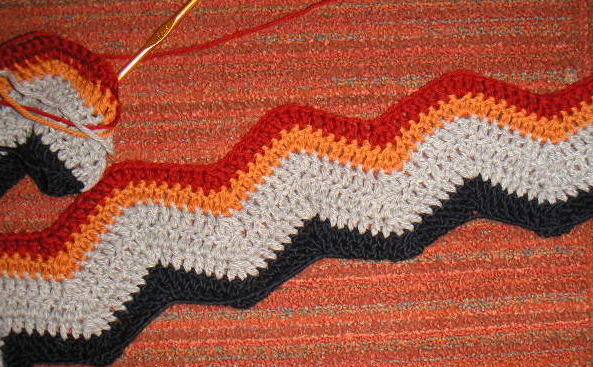 Another project I started last night was a ripple afghan. I'm hoping I use up lots of stash yarn. Looks like I'll be busy for a while!